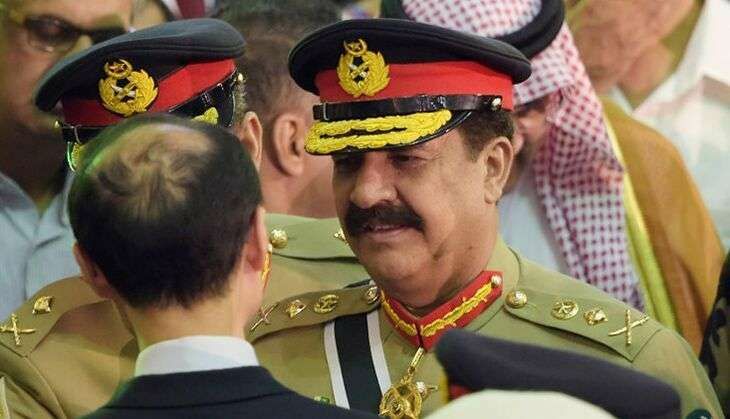 India must stop "mistaking" Pakistan's "policy of patience for weakness," Pakistan's outgoing army chief General Raheel Sharif said on 29 November. He made the remarks at the 'Change of Command' ceremony at the General Headquarters in the garrison town in Rawalpindi, which also saw General Qamar Javed Bajwa officially taking charge as the 16th army chief of Pakistan. During his speech, which was attended by former army chiefs, federal ministers and foreign diplomats, Sharif emphasised on the need to work together for the nation's progress. "India should know that mistaking our policy of patience for weakness would be dangerous," an national news agency quoted General Sharif as saying. General Qamar Bajwa has spent a considerable part of his military service in the Rawalpindi-based 10 Corps, which is posted on the Line of Control (LoC). Bajwa is the fourth officer from the infantry's Baloch Regiment to become the army chief after General Yahya Khan, General Aslam Beg and General Kayani.